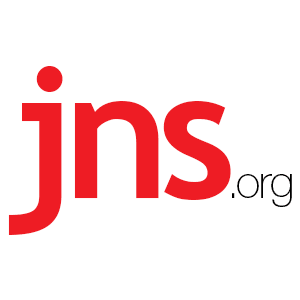 Anti-Semitic Acts in US Up 86% in First Quarter of 2017 Alone - Breaking Israel News | Latest News. Biblical Perspective. New statistics released by the Anti-Defamation League (ADL) Monday, in the organization’s annual audit of anti-Semitic incidents, show an 86 percent increase in U.S. anti-Semitic incidents during the first quarter of 2017. During 2016, anti-Semitic incidents increased 34 percent from the previous year, according to the study. The ADL said the “massive increase” in anti-Semitism began to rise during the month of the U.S. presidential election last November. The audit cites a total of 1,266 acts targeting Jews and Jewish institutions in 2016, with approximately 30 percent occurring in November and December. The incidents include 720 instances of threats and harassment, 510 acts of vandalism and 36 physical assaults. In the first three months of 2017, an additional 541 anti-Semitic incidents occurred, including 380 cases of harassment, 161 bomb threats and 155 instances of vandalism, the ADL said. Moreover, three Jewish cemetery desecrations and six anti-Semitic physical assaults took place during that time. If the trend continues for the remainder of the year, 2017 could see as many as 2,000 recorded anti-Semitic incidents in the U.S.
“What’s most concerning is the fact that the numbers have accelerated over the past five months. Clearly, we have work to do and need to bring more urgency to the fight,” said ADL CEO Jonathan A. Greenblatt. A separate survey, conducted by the Kantor Center for the Study of Contemporary European Jewry at Tel Aviv University, in collaboration with the European Jewish Congress, recorded a 12 percent decrease in global anti-Semitism in 2016, but a 45-percent increase in anti-Semitic incidents on U.S. college campuses.